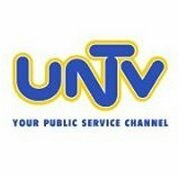 Religious TV Channel / UNTV, formally known by two brands as UNTV News and Rescue and UNTV Public Service, is the flagship Philippine television network of the Progressive Broadcasting Corporation (PBC), together with Breakthrough and Milestones Productions International, Inc. (BMPI), the network's content provider and marketing arm. DWAO-TV is one of very few NTSC-System M stations in the world that broadcast on Ultra High Frequency (UHF) Channel 37. Its studios are located at the UNTV Building, 907 Brgy. Philam, EDSA Quezon City and transmitter located at Emerald Hills, Sumulong Highway in Antipolo, Rizal. The 16-storey UNTV Broadcast Center along EDSA Philam is currently under construction to serve as its new headquarters by 2018.